Why does my toenail fungus keep coming back? Toenail fungus is often treated and resolved completely. With time, however, you may notice the return of the fungal infection in the toenails. This is not due to a failure in the treatment, but rather the toneail becomes reinfected. One of the most common causes for the return of fungal toenails is the continued presence of fungus in the shoes. Fungus thrives in a warm, dark, moist environment, which is what is found in a shoe. Add to that the heat and humidity of Houston and you have a perfect storm for fungus forming and reinfecting your toenail. There are ways to disinfect shoes. Using an antifungal treatment for the shoes, such as Mycomist, in conjunction with treatment for the toenails is ideal. Even after the toenail treatment is complete, and the the nails are clear, it is worthwhile to keep disinfecting your shoes to do what you can to prevent the fungus from returing. 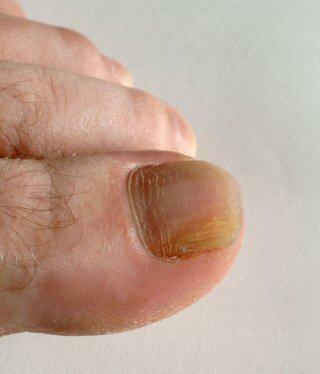 If you have been treated for fungal toenails and are noticing that the thickness and discoloration is returning, contact Houston podiatrist Dr. Andrew Schneider for an evaluation. We'll treat the new infection and take measures to prevent the situation from occurring yet again.